Condensing boilers are great! They provide high-efficiency hydronic heating and consistent comfort. Typical cast iron boilers feature efficiency ratings in the low 80% range. With a condensing model, you can expect an AFUE of 90% to 97%. They extract more heat from flue gases, and they allow radiators and baseboards to operate at a lower overall temperature. Unfortunately, condensing boilers also produce acidic condensate. Below are several photos of what will happen when condensate isn’t neutralized prior to drainage. WARNING: These photos are graphic and may not be appropriate for rookie contractors. All kidding aside, condensate presents a serious threat to your clients’ plumbing. 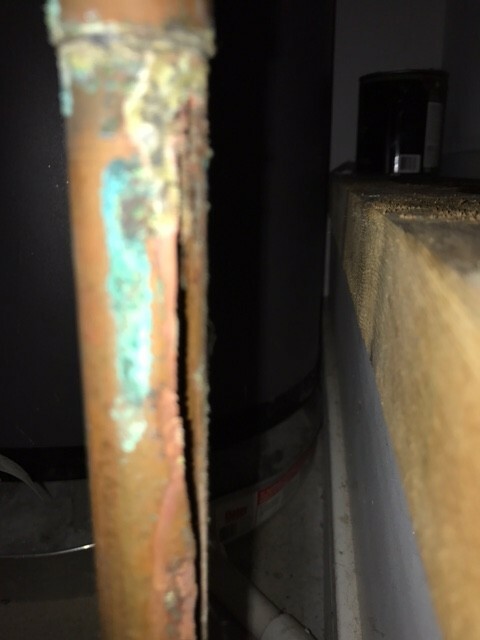 Not only will it cost a pretty penny to fix corroded pipes, the untreated condensate also poses a health risk. Additionally, this reflects poorly on the installing contractor. People don’t tend to recommend contractors who dissolve pipes to their friends. Luckily, this can be easily avoided with a simple condensate neutralization system. We’ve covered Calefactio’s CondenSAFE system twice before, but it bears repeating that if you’re installing a condensing boiler, you should be installing a CondenSAFE unit with it. 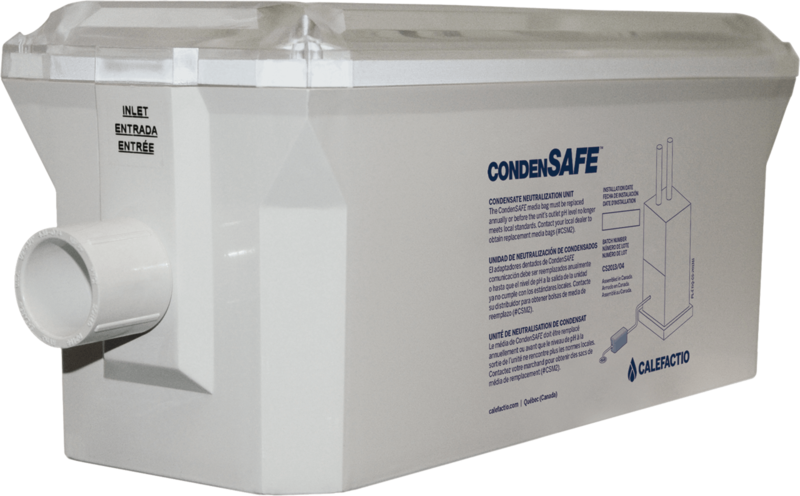 CondenSAFE is the only neutralization system on the market that can hard-piped. Furthermore, it does not require a bypass nor do you need to disconnect it when replacing the neutralization media. It is modular and can protect systems ranging in size from 50,000 BTU to 1,575,000 BTU. Replacing the media is as simple as popping the top off and swapping a new bag in for the old one. The media bags are even dated so that you can check when they need to be refreshed at a glance. The cost of a condensate neutralizer is nothing next to the costs of damaged piping or a damaged reputation. Don’t install an unsafe system; add a CondenSAFE unit and make it a job that you can stand behind.